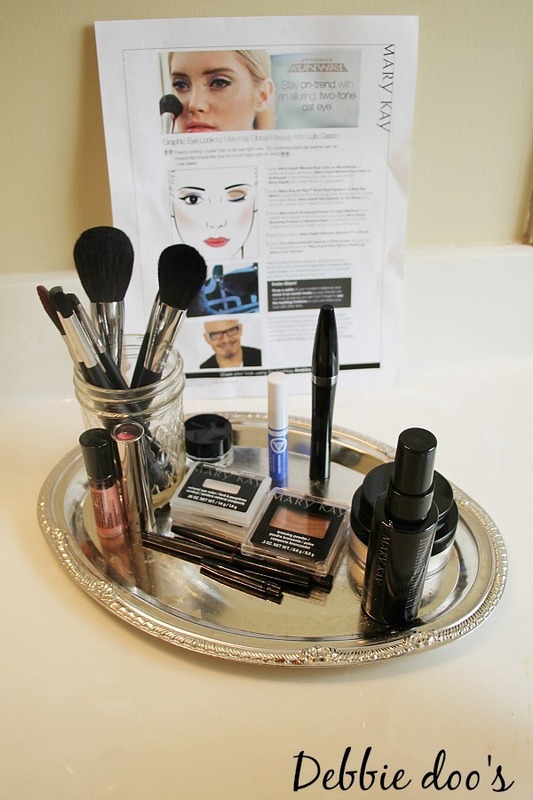 With the fall fast approaching, not only does home decor make a switch but so does makeup! Today I am sharing Autumn eyes and little tutorial on how you too can achieve the same look. 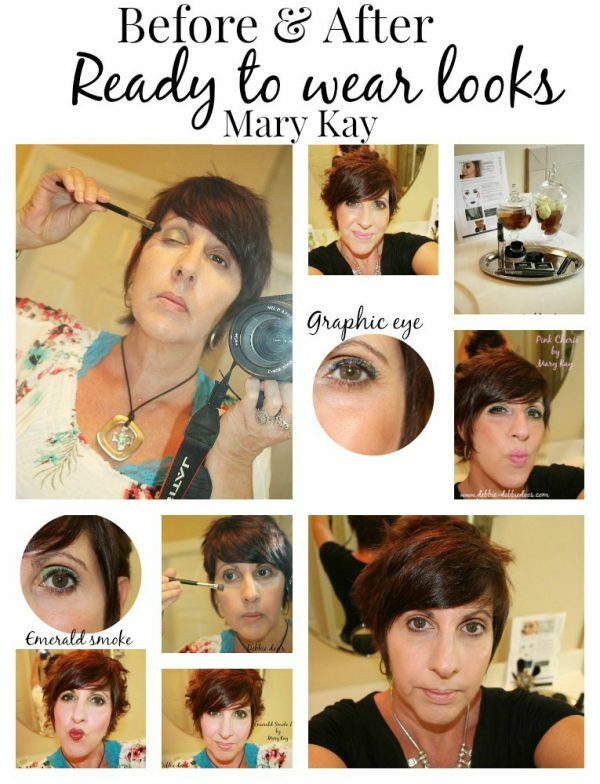 Thanks to our friends over at Mary Kay® these ready to wear looks can be achieved by just about anyone. 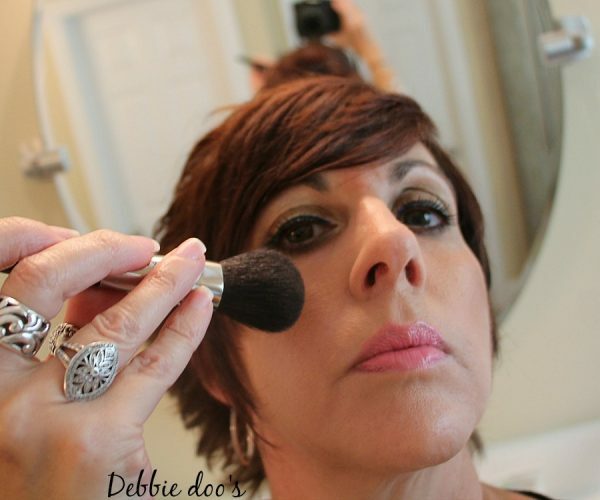 I admit, I get stuck in a makeup rut. I tend to wear the same look every day. In fact, sometimes I think I am stuck in the 80’s. I loved that my new make up actually came with a guide and how to achieve the look. I am not an expert and this was my first go at it. I am sure in time I can only get better at it. Let’s start with the Emerald smoke look. The day I did this we were going out that evening so it was great to give myself a little makeover. When I tell you, everyone noticed, I mean everyone. Even at the grocery store I was getting compliments from strangers. Made this ole gal feel pretty nice. I look pretty drab without makeup on. Perhaps, most of us do. The older we get the more our faces and eyes tend to change with the process. Makeup can really make you come alive again. Cream eye color concealer brush. 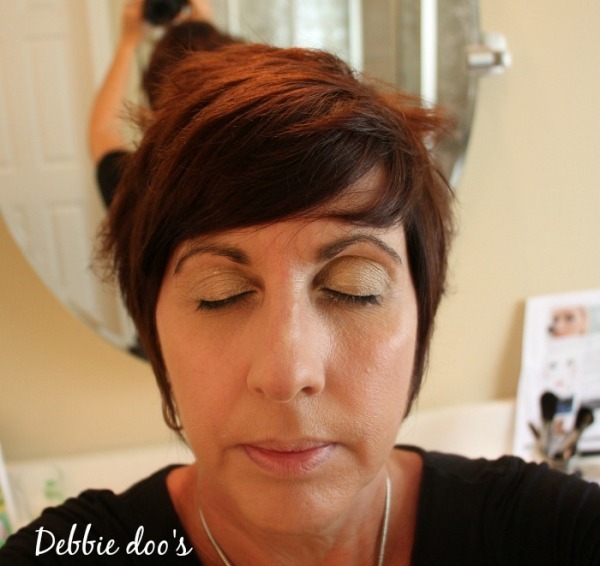 Green is one of the hottest shades for fall and I love how it brightens any color eyes! Taking pictures along the way was a little difficult. But the steps are quite simple and easy to share. Get the smoldering green gaze that’s sure to entice. First: Apply Mary Kay® cream eye color in Meadow grass to eye lids as a base to make the color pop and apply Mary Kay® Mineral eye color in Emerald on top. Brush Mary Kay® Mineral eye color in lime to the inner thirds of the eyes with the Mary Kay eye smudger brush for an eye-brightening effect. Second: Line the base of your top and bottom lash lines with Mary Kay® eyeliner in black and smudge slightly to create a smoky look. Third: Apply two coats of the Mary Kay® Lash love lengthening mascara in I love black. Fourth: With your fingertips or a clean Mary Kay® liquid foundation brush blend Mary Kay® cream blush in cranberry onto the apples of your cheeks. Start sheer and build the intensity as you see fit based on your skin tone. Fifth: Line lips with Mary Kay® lip liner in cappuccino and top off with True dimensions lipstick in Mystic plum directly from the tube. When wearing a darker lip a lip liner helps perfect their shape. It looks pretty spunky wouldn’t you say? There is nothing cooler than a cat-eye look right now. This look indeed is more natural for me. However, this look certainly can be for every day. 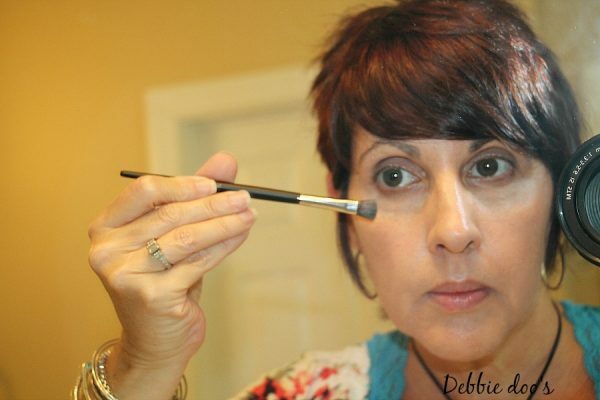 to the creases and under the eyes with the Mary Kay® eye crease brush to create depth. I love that everything has a special brush. This was again, all new to me because I don’t use makeup brushes except for applying blush. This experience certainly has changed that. The brushes made a huge difference. Second: Apply Mary Kay® at play bold fluid eyeliner in blue my mind in a very thin line from the upper inner corners to the middle of the eyes. Apply Mary Kay® gel eyeliner in jet black from the outer corners until it meets the blue eyeliner. Third: Apply Mary Kay® Bronzing powder in light medium to the cheeks as a highlighter for a bronzed look. Apply Mary Kay® bronzing powder in medium dark to the hairline and under cheekbones to create a really modern contour on the face. 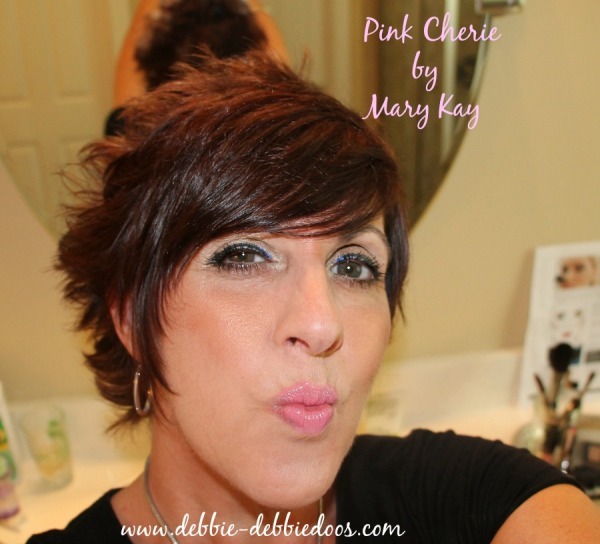 Fifth: Apply true dimensions lipstick in Pink Cherie directly from the tube and top off with Mary Kay® NouriShine plus lip gloss in Au Naturel. And there you have a casual graphic theme going and ready to throw on a few accessories and go out for the day. Pink lips are the perfect combination for a look that’s fashionable and playful. 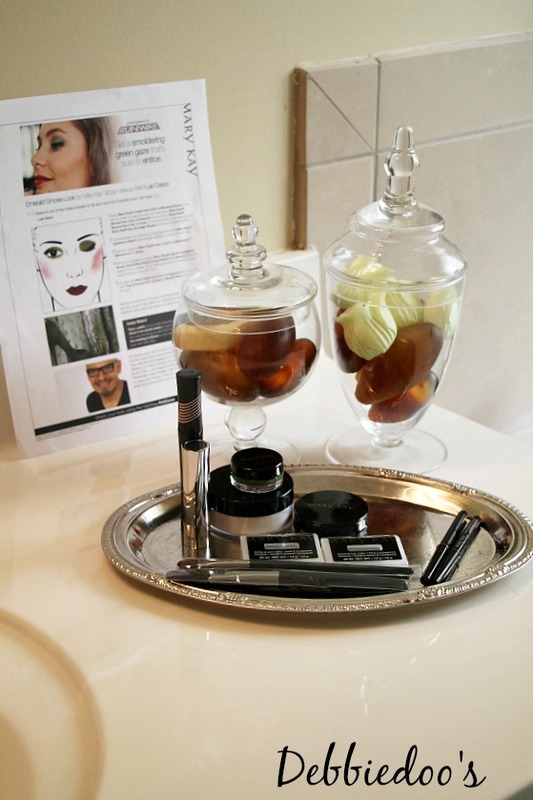 You can visit Mary Kay® on Facebook, Youtube, and of course, their website for more ideas! 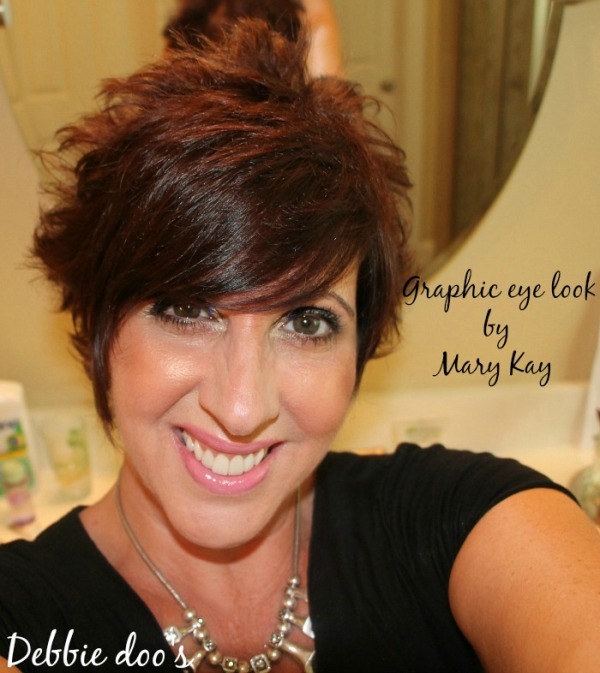 collection of Mary Kay® products to create one of the looks featured + some beauty essentials? Simply leave a comment telling me which look you want to try and this enters you automatically for a chance to win! This sweepstakes runs from 9/4/2014-10/7/2014. I’d like to try the emerald smoke look. You look fabulous!! Best hair style on you yet! Girl you look GREAT!! Loved both looks but #2 was my favorite the bronzer made you glow!! Love your hair too!! I would like to try the Emerald Smoke look, since it would go with my eye color. Wow, your eyes look A M A Z I N G!! Great tutorial, thank you! I love all the looks, but especially the Emerald Smoke, your eyes POP, beautiful! I love, love the second look. I just may have to get some of that lipstick! You are beautiful girl…inside and out. Very pretty! The emerald smoke really makes your eyes pop and the graphic one is a little edgy! You are talented with the camera and applying make up at the same time! I love the graphic look on you and I think that would work best look for me also. The colors are more what I would feel comfortable wearing. I would like to try the Emerald Smoke look first. Green in my favorite color. Thanks so much for the opportunity to enter. I like the smoky look and think the graphic eye look is perfect! i think you look great in that second look. 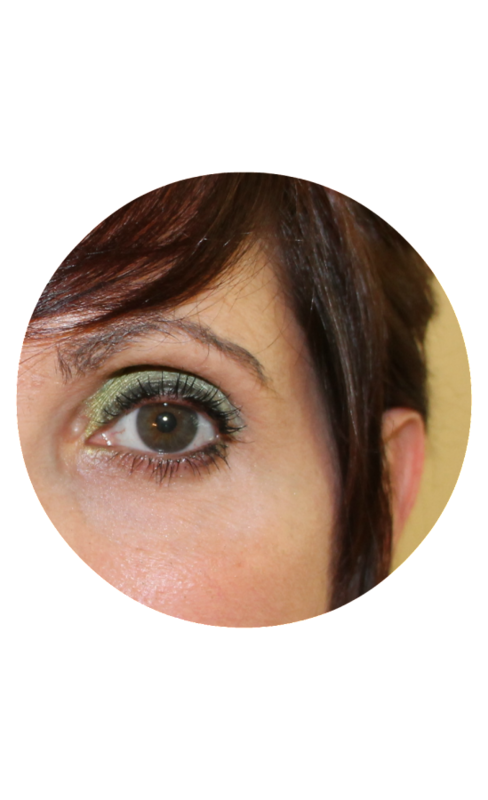 i’ve been using green eye shadow lightly, and it goes amazingly well with my dark hair and dark eyes. who knew? I like the smoke look the best. You have beautiful eyes and your lashes are wonderul! Girl you look fab. I love both looks on you but I think I would like #2. Love the hair cut-new isn’t it? I love MK products and have used hem for several years. Must try the brushes now. 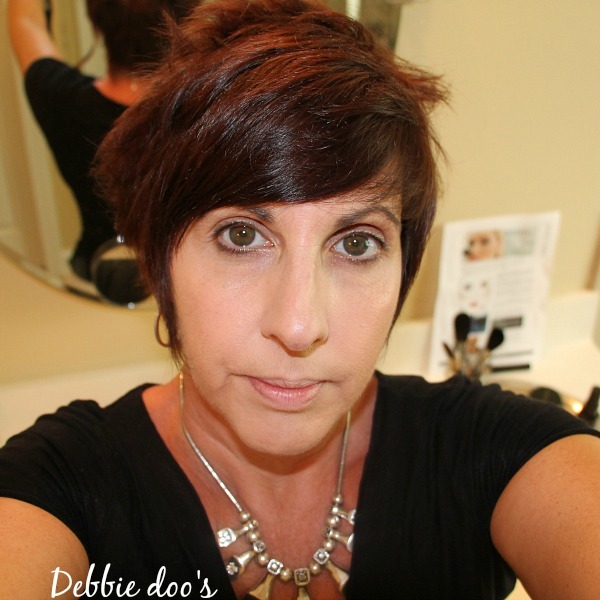 Love the haircut.and the makeup suits you..one spunky lady. Love this Deb! Of course, you can rock this look perfectly with that beautiful hair color and that gorgeous face of yours! 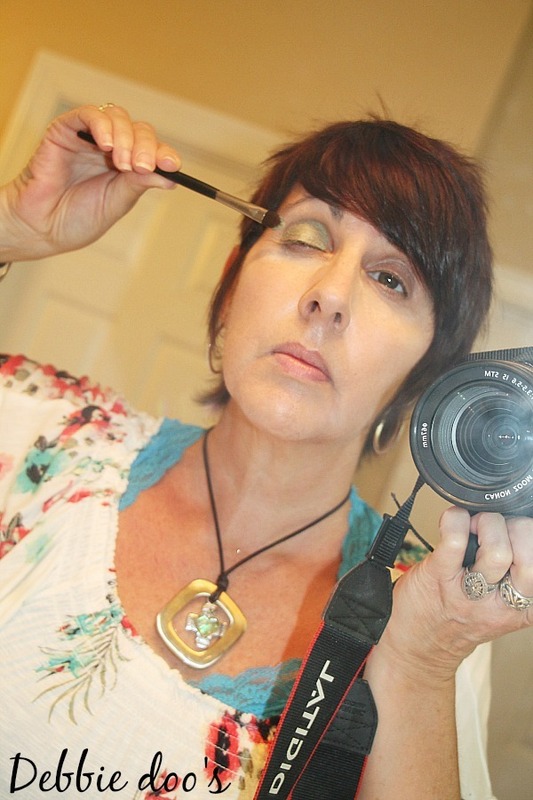 I may try a little more zing with my make-up…may give this a try after I get rid of my gray hairs, lol. Thanks for sharing! Awww..thanks Melanie! You can rock any look too with your gorgeous blue eyes. I would like to try the Emerald Smoke look! Good luck to you Jessica! The emerald smoke look is the one I want to try the most, love the colors! Very pretty look. Emerald smoke looks cool. Im not sure if green would go with my blue eyes but I wouldnt mind trying that combination. I have seen it on blue eyes and it is actually quite pretty too! Good luck. I’ve always loved how you wear your makeup. I have definitely been in a makeup rut lately, especially with eye makeup. I really like both looks on your…. I think the graphic look is my favorite. Thanks Shannon, that was sweet! Good luck. I like the graphics,eyes the best. I love the graphic and pink cherise! would love to try those! Love the graphic eye look! That is my fave too! Good luck. I love that Emerald Smoke look! Something I’ve never tried before. Looks beautiful! Both looks are great on you, I think I would choose look #2..for me..
You look so pretty, Debbie…great tutorial! I love the graphic look! You look beautiful on both looks. I would like to try the cat eye. The graphic eye look is definitely my favorite. I’d like to try it myself. I want to try Emerald Smoke. I would totally want to try the Graphic Eye look. I like the graphic eye look. i like the graphic look. I love the more “natural” but gorgeous look which is totally what this is!! thanks for such a detailed review, I’ve never tried mary kay makeup. That blue eyeliner looks fantastic! I love the graphic eye! I love the graphic eye look. I love the more natural subtle look. I would love to try the Emerald Smoke look. You look fab! I would love to try the Emerald Smoke look! I would like to try the graphic eye, so pretty! How fun to find this website while searching for a vegetarian crock pot recipe! I have blue eyes. Do either of these looks work for me? I especially love the graphic eye look! Thanks! Hi Anne, what a great stumble:) Absolutely these looks would work with blue eyes. In fact, I believe the model that show on the instructions has blue eyes. Looks stunning. Best of luck to you. I would really like to try the Emerald Smoke look! Emerald Smoke is so great for a date night. The graphic eye looks great on you….I’d try that one. I like the Emerald Smoke look. I’d like to try the smoldering green gaze! My favorite color scheme is the Emerald Smoke look!! I am in love with the graphic eye look. I will have to try it! I’d love to try the Emerald Smoke look. I’d like to try the graphic eye look. like to try the Graphic Eye look! I’d like to try the Graphic Eye look. It looks so pretty on you and I have a similar complexion. I will try the Emerald Smoke look. I like the Graphic Eye look. Very pretty! I like the Graphic Eye look with a bold eye and a softer lip. I think the Emerald Smoke is really pretty. 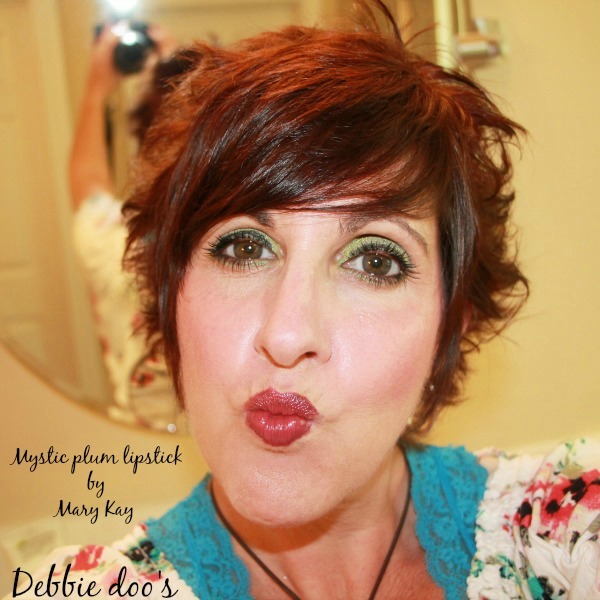 Mary Kay made that Emerald Smoke look just for you lady!! That looks fabulous on you! I really want to try that look myself! I would go for the Emerald eye color look. i would like to give the Emerald Smoke look a try! I absolutely love that shade of green, so I would go with the Emerald Smoke look! 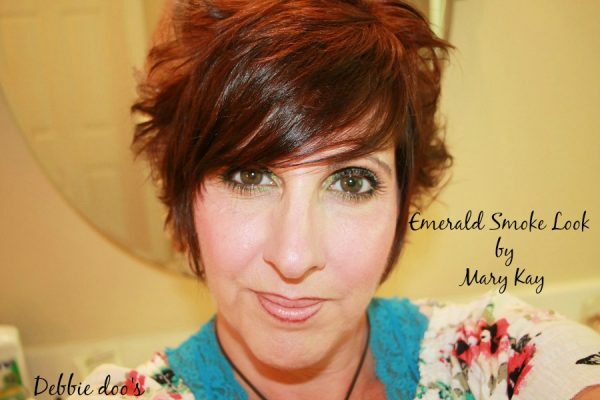 I love the emerald smoke look because emerald is hot right now! I would like to try the emerald smoke look.